You won't probably believe me, but the first time I decided to start a blog, it took me 3 hours to choose the perfect domain name and 3 days to choose the perfect hosting plan. Yes! 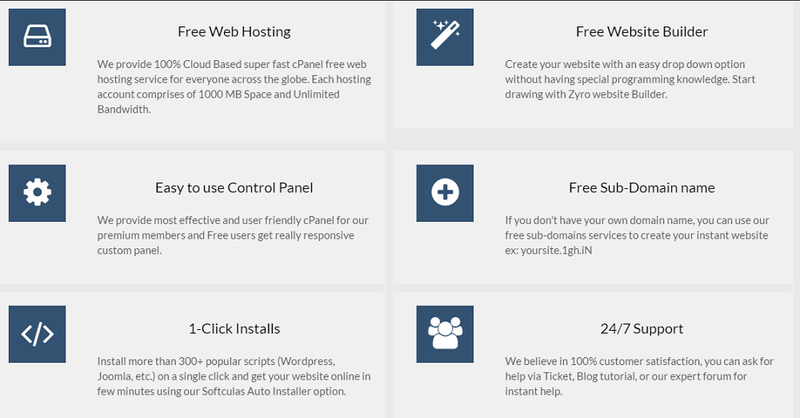 Trusting a web hosting company to host all your precious sites is that hard, and when the word Free is associated with them, then it becomes near impossible to choose them. But dispute is a thing which can be counter by courage, so when the valiant folks at Googiehost, contacted me to try their hosting service and share the results with our readers, I became fascinated with the idea of finding a possibly trustable hosting provider, and decided to write the Googiehost review for everyone. But that's not all, along with an honest review, Googiehost officials wanted to do something more for our readers, so your favourite blogging website GeeksGyan in association with Googiehost has brought an awesome giveaway for all our readers where you can not only win one year of free hosting plan, but a free .in domain as well. The first thing anyone looks while choosing the hosting provider for their site, is whether it fits into their budget or not. Googiehost, of course, solves that problem very much by providing a plan which fits into everybody's budget because it's free. But that's not all, for making the free plan reliable, the provided space limited to 1000mb. So there are 3 paid plans as well for people with bigger requirements. The first two plans cost $5 each, providing unlimited space and bandwidth where you can host as many sites you like. The only difference between the two plans is that the first is based on Linux and the second on Windows. The third plan will cost you $8 where you can host one WordPress site and everything else is unlimited. In my opinion, all these plans are suitable enough for any blogger looking for a budget Web Hosting. Once you have choose and bought your hosting plan, you may want to set up your blog the earliest. The one click installation service using Softculas Auto Installer allows you to install the script required for your blog like WordPress, Joomla etc and that's definitely a plus point because it cuts down hours of work into minutes. Free Website builder - So you have the option to install scripts required, but what if you want to build something different than the usual? The automated site builder allows you to build the site of your dreams, and all you need to do is dragging and dropping. One of the rarest but awesome features in the line of web hosting I found on Googiehost, is that they give you referral bonus. You are paid $.50 for every customer you refer to their free plan, and $5 for referring people to paid plans. Every Web hosting promises to provide the best quality service, however there are lots of big and small technical features which many people don't know about so the sites ignore them, but once they grow their sites a bit, they feel extremely disgusted by the fact that their Web hosting doesn't have the required features. 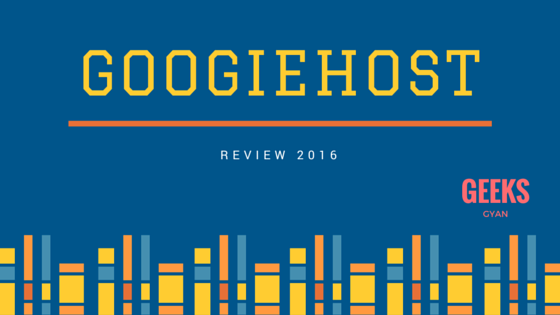 Thankfully, in this Googiehost review, we can say that they have almost all the required technical features to keep you going. The long list of such Googiehost features includes SSD Caching, Weekly Backups, WebMail Access, phpMyAdmin, My SQL databases, PHP version 5.5, 5.6 and 7 and lot more. Googiehost Free web hosting - is it worth it? So one of the biggest questions I had and I am sure all of you also have is if Googiehost free hosting plan is reliable or not. Seeing the track record of 'free' web hosting providers, it becomes very hard to trust them but again they are free so nothing costs in trying them out. First, have a look at the features offered in the free plan. The free plan offers 1000 MB disk space, which is ideal for hosting new blogs or niche blogs, you have unlimited bandwidth as well as unlimited email accounts, both of which will help you as your business grows. You get 2 My SQL databases to add features such as a sign-up option and 2 FTP accounts which allow you to transfer multiple files together. The Softculas Auto Installer and the website builder, both are available in the free plans as well meaning that you can create a site as you want. This and the other included features like latest and most popular PHP versions, Spam protection, hotlink protection etc pretty much means that you get to play with all premium features for free and the hosting providers don't try to force you into buying premium plans just for the features. Now let's talk about the real deal. We signed up for the free Web hosting and found the process to be easy enough. The Cpanel was a little outdated, but comparing to some other so called 'premium hostings' it's still decent enough. Next, we created a Wordpress site using the free domain name provided by the hosting, and the whole process was pretty easy. In less than 40 minutes, we had our site ready for the users to visit. But wait, we don't have any users yet! So we decided to test the site's uptime by ourselves. For doing that, we used multiple proxies and visited the site during multiple different times and we found our site accessible from each location. Overall, we found Googiehost to be a good hosting provider. The free plan works without any problems and it delivers what it promises. The only restriction is that the disk space is limited to 1000mb. Means if you are looking to build a bigger site, then you'll have to go for the premium plan. Till then, you can use the free web hosting to start your blog and build it slowly to reach the 'brand' status using the Googiehost Free web hosting. Once you start making some money from your blog, you can move on to the premium plan and boost your site. And now as we promised, we are providing all our readers a chance to win one year of FREE .IN Domain with free cPanel site hosting courtesy of Googiehost and your own GeeksGyan. All you have to do to win is signup for the Googiehost free web hosting by clicking here. After that post your own Googiehost review in about 30 words on these facebook and Google+ pages. Once you have done that we will choose the best and most creative reviews and they will be rewarded the price. Cheers!! !